Eat, sleep, drive. 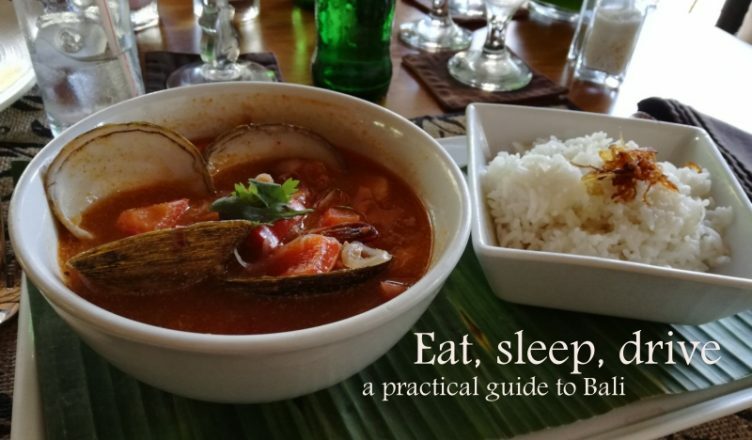 A practical guide to Bali! 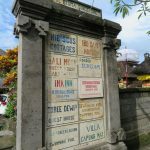 Bali is an exotic destination and that means that most people think going there isn’t all that easy. Though it is part of Indonesia, Bali is very accessible and easy to do with children. It’s an ideal introduction to South-East Asia. In this post we’re rounding up the best of our experiences, just for you! 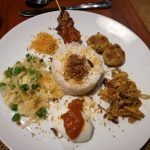 Balinese cuisine is great and not too spicy. 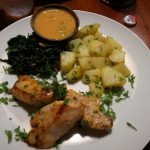 We found excellent, budget spots to eat and more exclusive restaurants, that are still very affordable if you are used to European prices. 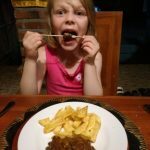 We were traveling with our then 6 year old girl, who is a very fussy eater. We found that Balinese restaurants always have options for smaller children. 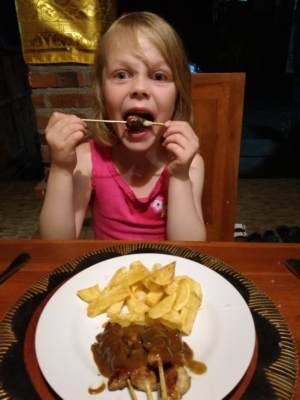 She decided upon arrival that she didn’t like rice anymore (great timing, Febe! ), but even that wasn’t a problem: you can get fries everywhere. And coming from Belgium, I can even add that they were good fries! Pizza is also very widespread, and no child can refuse the chicken satay with peanutbutter sauce. 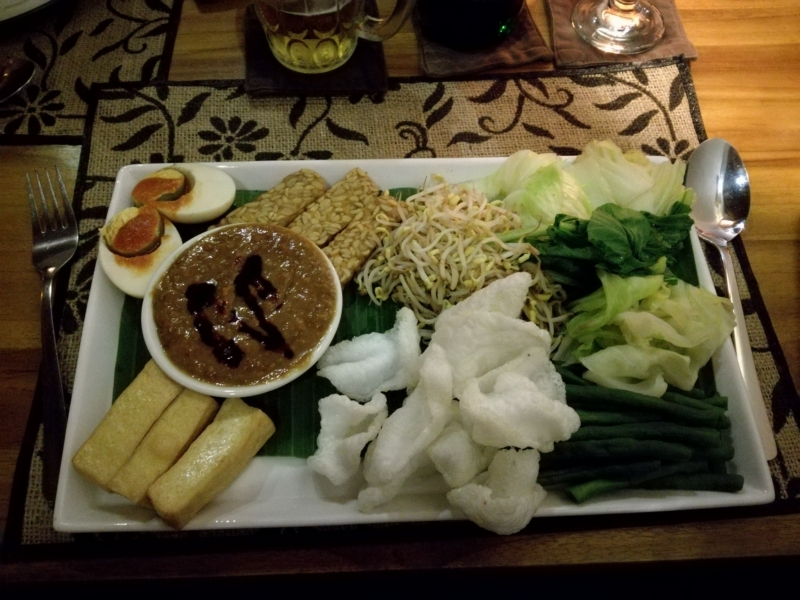 You can find just about anything to eat in Ubud: from local cuisine to even a traditional Belgian restaurant. We felt right at home there! 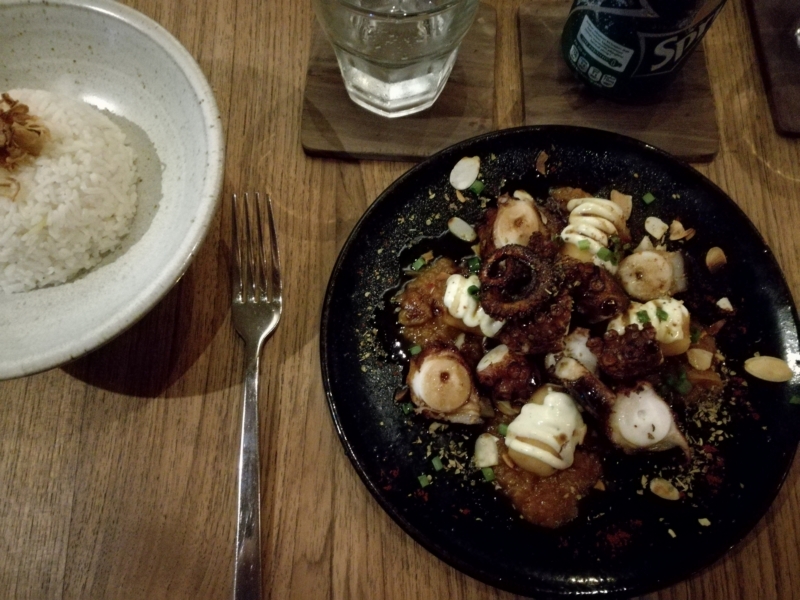 From Indonesian dishes to traditional Belgian beer stew: this place had it all. According to Balinese standards, this one is considered expensive. As Europeans we found the prices very reasonable though! 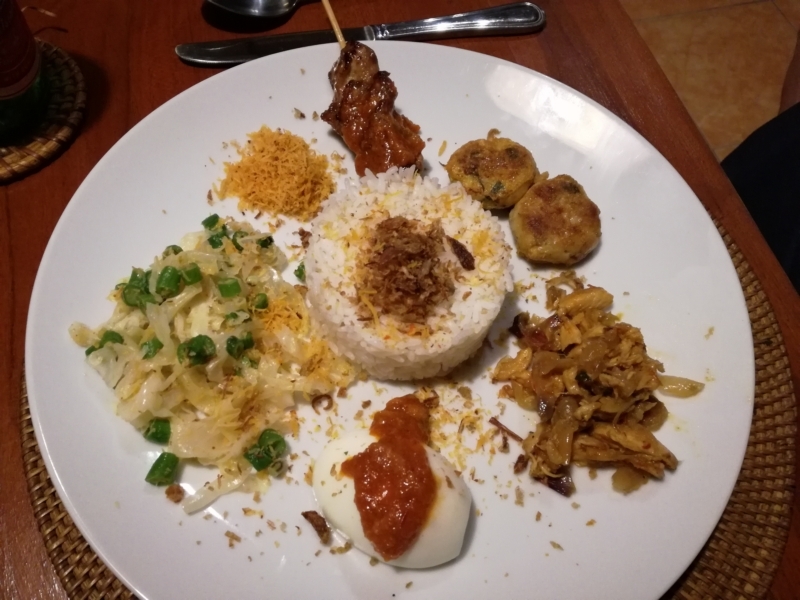 Expect to pay around €5 for a main Indonesian dish (yes, that is considerend expensive in Bali…). It was located near our hotel and therefore very convenient. We loved the big terrace and the service and food were excellent! A great pizzeria on Jalan Bisma. They have great woodoven baked pizzas and we loved their red and green curries! 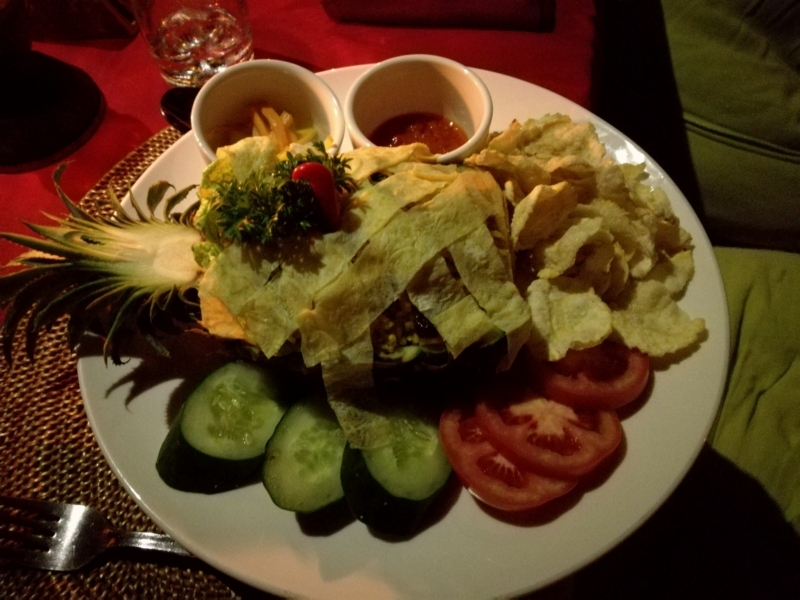 A great spot in Ubud to enjoy a superb dinner. Prices are more European, but it’s SOOOO worth it! They menu card is rather spicy, but they made Febe some excellent pork ribs – extra sweet, no spices! Originally we planned a cooking workshop there. But those Indonesian holidays have a small downside as well – a lot of locals close up during them. That made it impossible to fit the workshop in our busy schedule. But, we did enjoy a great dinner at the Café. When you enter it from the busy Monkey Forest Road, make sure you ask for a spot in the garden. A true place of heaven! 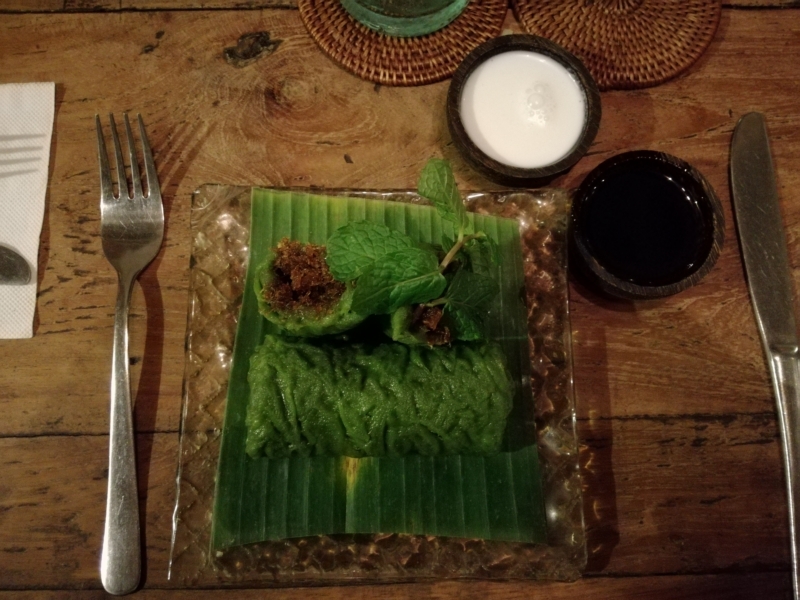 The food was amazing… and it’s a must-do when you’re in Ubud! Sometimes you get very lucky! 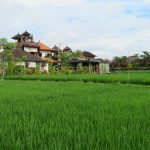 Our hotel was located just down the street of what is probably the best warung in Bali. A warung is a local eatery. Mostly small places, with only a few tables and staff that only speak basic English. 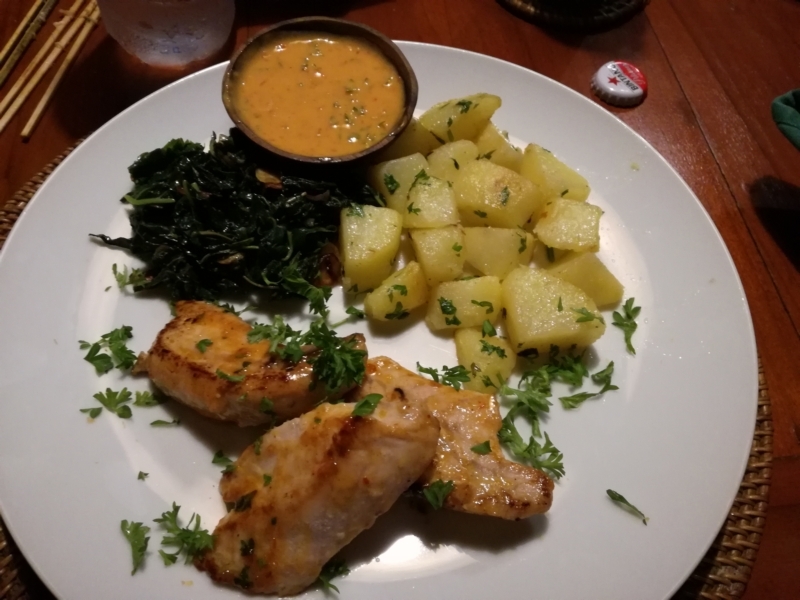 We had the most amazing dinner there, for only about €2 in total (yes, that’s two adults, one child, 3 main courses with drinks and one dessert!). 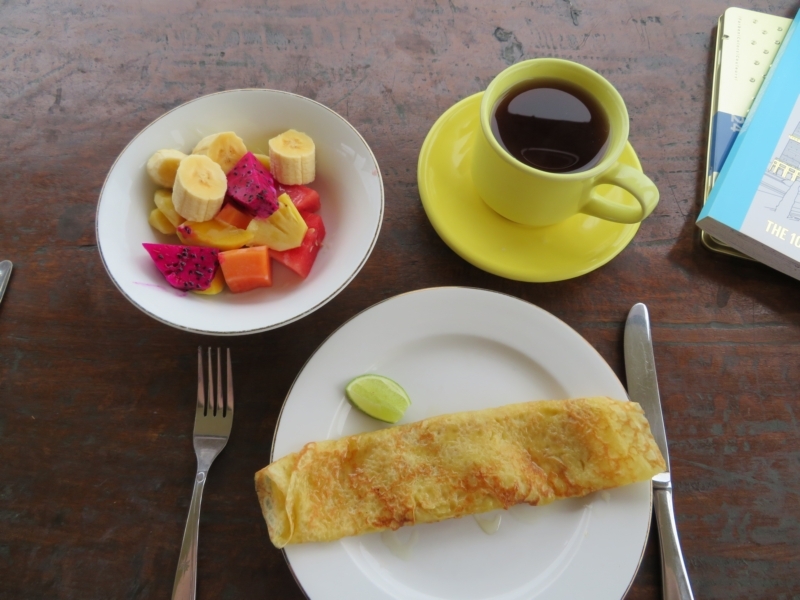 During our stay in Pemuteran we dined there several times and didn’t regret it once! Just look at this plate! 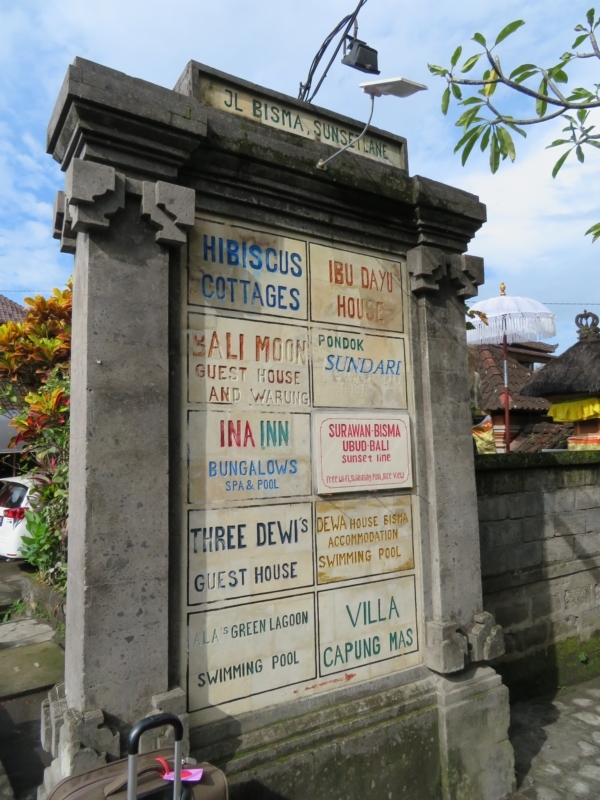 Facebook – on Jalan Singaraja-Gilimanuk, locate the sign that leads to “Rhipidura Bungalows”. Enter the narrow dirtroad and you’ll find the warung just located a few meters down the road to your right. After visiting the holy water temple, our driver took us to Warung De Koi. 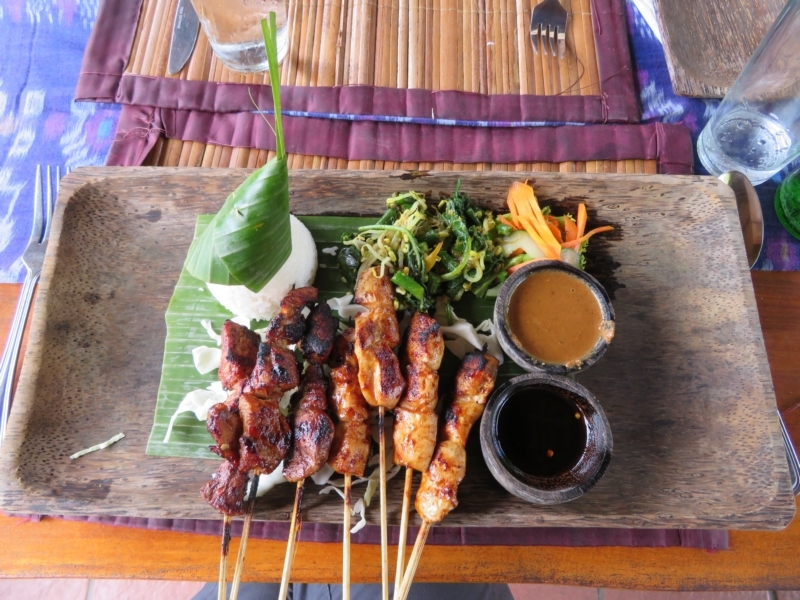 We had the best satays of the whole island right there, and that’s worth a mention in our list! Ask your driver to take you there, you won’t regret it! Facebook – Jalan Tirta no. 25M. We do an extensive search of where to sleep before we book a holiday. Still, some places aren’t what we expected of them. But some are true gems! In Bali we found a couple of those gems. The prices are what most amazed us. As you probably noticed, food prices are very low. We went out to eat twice a day and still didn’t spent much more than an average of €15 a day for the three of us. Accomodation is the same: it’s SO cheap compared to Europe! 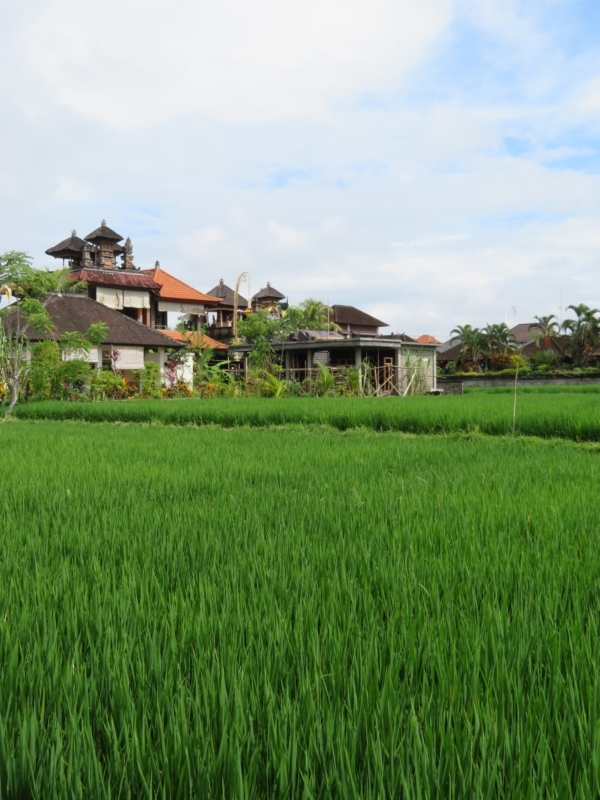 Located in the rice fields, a 5 minute walk from Jalan Bisma, you’ll find this small hotel. In some reviews the fact that you have to walk there was stated as a downside, for us this was a plus. We like a quiet location when we travel, especially if you travel with a child. At night we could only hear the sounds of crickets and frogs! Heaven! The hotel has a lovely swimming pool that you can access day & night and looks out onto lush vegetation. Hotel staff was extremely friendly and breakfast was brought up to our room daily. Since Febe also decided she didn’t like banana pancakes (we LOVED them! ), they baked the traditional European version with chocolate sauce for her daily. The walk to the hotel. We started and ended our trip there and are missing it every day. 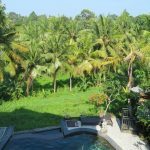 If we ever get back to Ubud, we’ll book again! We almost always use booking.com to book our hotels. Get a €15 discount by using this link for your next booking! How does your own private villa with private pool and outdoor bathroom sound? And what if I mentioned that you can book this for less than the price of a B&B in Europe? Interested? So where we! Rhipidura bungalows didn’t dissapoint. The hotel is managed by a lovely French owner, who you can often spot riding his horse on the beach. It’s only a short walk away from the beach and from local dive shops. And the villa and pool? Heaven! A choice of breakfasts in the main lodge in the garden is included as well. Febe loved the fact that she could get eggs and toast after all those pancakes (yes, she is an a-typical eater *grin*). If you read our Bali blogposts before, you know we headed to Nusa Lembongan to snorkel with manta rays. All our research led us to Captain Diasa, who is also the owner of D&B Bungalows. For the amazing price of €15 / night (for all 3 of us!) we booked our stay with him. Breakfast included! And if you look at the picture below, you can hardly believe what I’m saying is true. Our room is the roofed house at the end of the swimming pool. 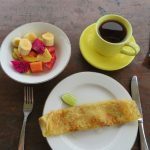 If you stay in Lembongan, don’t hesitate and go for this option. You won’t regret it! The staff in this little gem is amazingly friendly and will help you out with everything you need. You have to book directly with D&B Lembongan to stay there: contact them at info@dnblembongan.com . Ofcourse you don’t want to linger in one spot and you want to discover all the island has to offer. You can always go for the option to rent a scooter and explore yourself, but driving times are long and if you’re not an experienced driver I wouldn’t really recommend it. Most people explore Bali with a car and private driver, and so did we. We can highly recommend mr. Bagus to drive you around. He is super friendly, has an excellent airconditioned car and offers just that little bit extra, like cold refreshning towels and bottled water when you get back from your excursion. Trust me, in the Balinese heat that’s heaven! At the end of our trip it felt like we were leaving a friend behind. If you have any other questions, don’t hesitate to ask them in the comments below, or send us an e-mail (annick@ourworldheritage.be) . We’ll gladly help you out!